National Wear Red Day® was launched in 2002 by The Heart Truth, a national campaign sponsored by the National Hear, Lung, and Blood Institute. The Heart Truth created and introduced the Red Dress as the heart disease awareness symbol for women. On the first Friday in February, people are encouraged to wear an item of red clothing to show their support for the awareness of heart disease in women. The color red was chosen for several reasons. Firstly, this color stands out and immediately draws attention. Secondly, it is believed to boost confidence and make people feel more powerful. Thirdly, red is the color of our hearts. There is a common misconception that heart disease is a “man's disease”. In fact, one in three women die of heart disease and stroke every year. 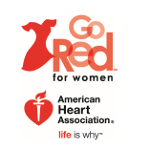 Go Red for Women campaign launched by the American Heart Association aims to bring attention to this fact and educate women about cardiac events prevention. In order to get involved, wear something read on the first Friday in February and spread the word via social media. National Wear Red Day is a registered trademark of HHS and AHA.